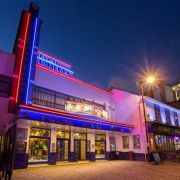 The Newlyn Filmhouse is Cornwall's newest cinema. 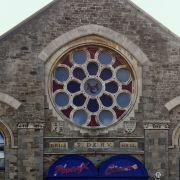 It is also Newlyn's first cinema since the 1905 when the Gaiety theatre opened, closing down in the 1960s. 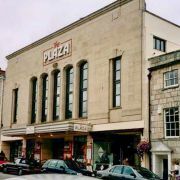 Set in the converted JH Turner and Co fish merchants building this cinema retains many of the original features whilst offering the very latest in technologies and comfort. The two screens seat 86 and 56 people showing all the latest films from mainstream to arthouse. The onsite restaurant and bar are worthy of a visit in their own right. A range of food and drinks are served upstairs in this tastefully converted building.